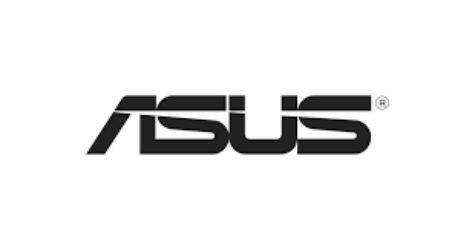 ASUS announced the Republic of Gamers (ROG) Strix, ASUS Dual, and ASUS Turbo graphics cards based on the new NVIDIA GeForce RTX 2080 Ti and RTX 2080 GPUs, which feature support for high-speed GDDR6 memory and VirtualLink for quick, single-cable connections for next-generation VR headsets. The new NVIDIA GeForce RTX GPUs have reinvented graphics and set a new bar for performance. Powered by the new NVIDIA Turing GPU architecture and the revolutionary NVIDIA RTX platform, the new graphics cards bring together real-time ray tracing, artificial intelligence, and programmable shading. This is not only a whole new way to experience games—this is the ultimate PC gaming experience. The ROG Strix GeForce RTX 2080 Ti and 2080 keep Turing cool with brand-new Axial-tech fans that implement the latest ROG innovations, including a reduced-size fan hub to allow for longer blades and a barrier ring that increases structural integrity and downward air pressure through the ROG Strix GeForce RTX 2080 Ti and 2080’s heatsink array. The new design allows Axial-tech fans to shift more air without increasing noise levels. All ROG Strix graphics cards are produced using Auto-Extreme Technology, an automated manufacturing process that sets new standards in the industry. Traditionally, soldering of through-hole and surface- mounted components needs to be performed in separate stages. Auto-Extreme Technology allows all soldering to be completed in a single pass, reducing thermal strain on components and avoiding the use of harsh cleaning chemicals. The end result is less environmental impact, lower manufacturing power consumption and a more reliable product. The latest ROG Strix and Dual cards adopt a 2.7-slot footprint to accommodate a larger heatsink because bigger is better. The overall surface area of the cooling array is 20% larger for the ROG Strix cards and more than 50% larger for the Dual cards compared to previous-generation designs. The improved heat dissipation provides more over-clocking headroom for enthusiasts and an amazing plug-and-play experience by allowing lower fan speeds while gaming. The following models will be available for pre-order from August 20th, 2018 in select countries, from authorized retailers around the world. Please contact your local ASUS representative for further information. ASUS Announces ROG Strix, Turbo, and Dual Versions of GeForce RTX 2080 Ti and 2080 Gaming Graphics Cards 0 out of 5 based on 0 ratings. 0 user reviews.